042018 - Senator Elder Vogel, Jr. 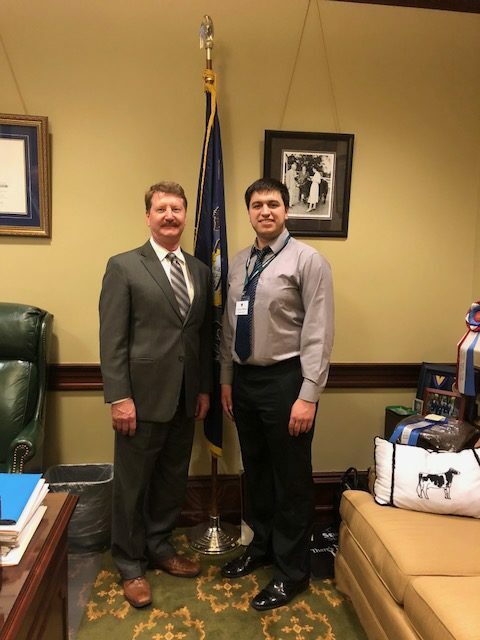 It was a pleasure to talk with Joshua Baktay from Zelienople and other students from Duquesne University about PHEAA grants. On April 17th in Harrisburg, I joined the Nuclear Energy Caucus for a hearing with First Energy, Talen Energy and Exelon representatives as they discussed the struggling nuclear industry in Pennsylvania. First Energy announced in March its plans to close the Beaver Valley Nuclear Plant site which will affect over 1,000 employees hired by the plant. It would also cut around $70-$120 million in contracted services; about $4 million annually in state and local tax revenues could be lost. The state legislature is closely watching the federal government and other states also dealing with issues in nuclear energy production. This issue is very important to the state and specifically important to the Beaver Valley area with the current plant meaning so much to our community. To watch the full hearing and to read the testimony click here. If you should have any questions, feel free to call my office at 724-774-0444. For more information on the bill you can follow the link in the bill name or call my office at 724-774-0444. Pennsylvania is reminding veterans about its Amputee and Paralyzed Veterans Pension program. 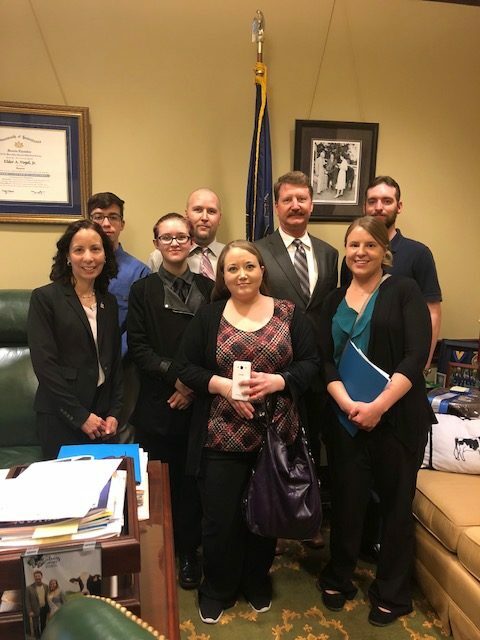 This pension program is one of the many ways that the Pennsylvania Department of Military and Veterans Affairs (DMVA) continues to serve the veterans who have served our nation. 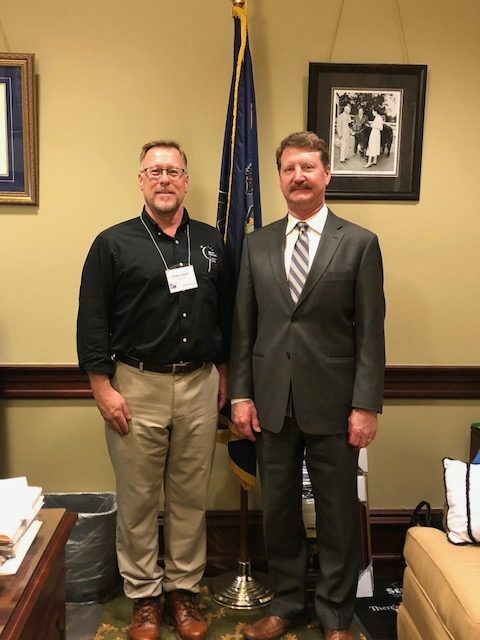 I was pleased to meet Ernie Copper from Lawrence County representing the American Cancer Society. Since 1999, the Pennsylvania Parks and Forests Foundation (PPFF) has provided a place for dedicated volunteers to serve the 121 state parks and 2.2 million acres of state forest land that are a crucial resource to Pennsylvania. 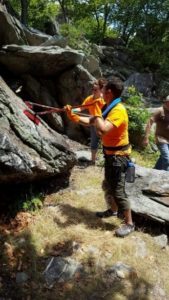 Under the PPFF umbrella, 41 chapters or “friends of” groups have formed in individual state parks and forests, focusing their energy on the local park and forest in their neighborhood. Here in our district, while not a PPFF chapter, the Moraine Preservation Fund (MorainePreservationFund.org) will welcome you to their events and volunteer activities. Visit their website to find out more about them. Or visit Events.PAParksAndForests.org to learn about other opportunities. Want to volunteer on your own schedule? Consider becoming a steward in the “Stewards of Penn’s Woods” program. To find out more (including available projects and forests), visit the PPFF website by clicking here. 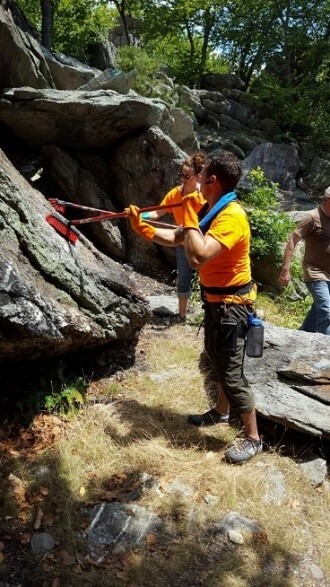 The DCNR Conservation Volunteer (Volunteers.DCNR.State.PA.us) program encourages individuals to align themselves with the parks or forests (or volunteer activities) of their choosing. There is always work to be done – and joy to be experienced – in your role as a state park or forest volunteer. PPFF offers regular volunteer opportunities on projects across the state. Contact the Foundation at 717-236-7644 or visit the website (PAParksAndForests.org) to find out how. A free Business Financing workshop for Tourism and Historic Preservation is being offered on Saturday May 12th from 10am to 1pm located at Old Economy Village Visitors Center, 270 16th Street , Ambridge, PA 15003. This workshop includes guest speaker David Kahley from 10am to 11am focusing on financing options for development or expansion of tourism related business. Mr. Kahley has 36 years of professional experience in economic development activities. He is co-founder and CEO of The Progress Fund. The Progress Fund is a non-profit community development financial institution focused on new or expanding tourism businesses by providing loans from $5,000 to over $1 million along with business coaching. Examples of financed business: accommodations, attractions, entertainment, farms, outdoor recreation, restaurants, retail, service business, craft beverage producers and other small businesses. The second speaker is Rob Wagner from Noon-1pm and he will focus on preservation, financing and tax credit information for restoration projects. Rob Wagner is the Senior Loan Officer for Landmarks Community Capital (LCC) with 30 years of experience in corporate banking, small business ownership, and community lending. LCC helps initiate and expand community revitalization by providing creative real estate financing and technical assistance in historically low to moderate income neighborhoods and urban areas. Loan sizes range from $50,000 to $700,000 and Landmarks specializes in purchase/construction loans for historic commercial and residential investment properties. After the workshops a self-guided walking tour of the Ambridge Historic District is offered. Registration for the event is free, but you must RSVP by contacting historicdistrict@gmail.com or calling 724-312-0708. The PA Insurance Department is excited to announce a new line of Pennsylvania Motorcycle Safety Program (PAMSP) clinics for 2018. Focused on developing operator proficiency among prospective, new and experienced PA riders, these revamped training clinics are offered free-of-charge to PA residents who have a motorcycle learner’s permit or license. Through PennDOT’s new program coordinator PAMSP will offer five training courses designed not only to hone a rider’s knowledge, but to test their ability to physically manipulate the motorcycle. Three clinics are available the Beginning Rider Clinic (BRC), the Intermediate Riding Clinic (IRC) and the 3-wheel Riding Clinic (3WRC). Motorcycle learners permit holders who successfully complete the BRC, IRC or the 3WRC will be issued a license. New from PAMSP in 2018 is a four hour Introduction to Riding Clinic for those would-be riders who are still not sure if they want to ride. Lastly, the PAMSP offers an Advanced Rider Clinic, a one day clinic designed to enhance a rider’s ability to avoid a crash through decision making, riding strategies and risk management. For more information on the free clinics, please call 1-800-845-9533. PennDOT also offers a PA motorcycle practice test app to help riders test their knowledge. The app can be downloaded at www.pa.gov and searching the mobile apps or by using your mobile device’s app store. Great to see Janet Barone and other members of the Western PA Chapter of the National Hemophilia Foundation in the Capitol. With the harsh winter turning to spring, many residents must address damages from winter storms or spring floods. The PA Insurance Department is encouraging all property and casualty insurers to do all they can to make the claims filing process as easy as possible for the people in need. Insurance professionals as well as property owners can access the Insurance Department’s “After the Storm” brochure, which provides tips on taking an inventory of damage and on filing a claim. The brochure also contains things to watch for when hiring a contractor to repair damage. The department’s one-stop shop flood insurance webpage has information on both the federal government-run National Flood Insurance Program, and private flood coverage available in Pennsylvania. Since the department launched the webpage two years ago, the number of private residential flood policies has increased from 1,500 to 5,200. Pennsylvania licensed insurers selling private flood coverage and producers selling surplus lines flood insurance who want to be listed on this webpage should complete a request form and send it to ra-in-floodins@pa.gov. 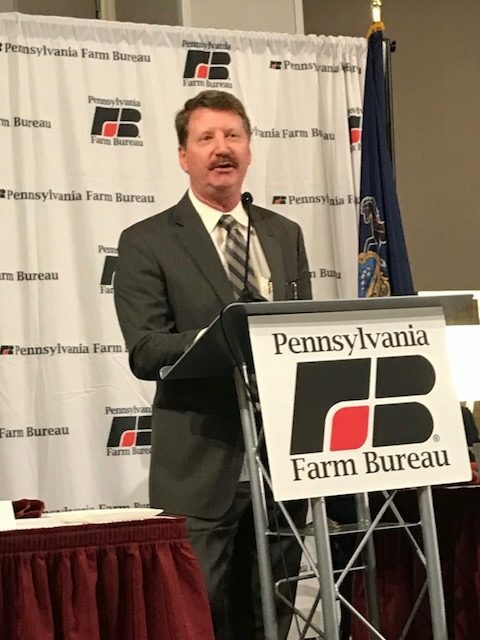 It was a pleasure to speak at the PA Farm Bureau’s State Legislative Conference about issues affecting today’s farmers. The Pennsylvania Friends of Agriculture Foundation, a charitable organization supported by Pennsylvania Farm Bureau, is hosting its Educator’s Ag Institute this summer. This year’s institute, planned for July 8th through 12th in State College, will give teachers an up close and personal look at farming practices and how they can use agriculture as the basis for lesson plans. The Educator’s Ag Institute is open to new educators, along with those who have previously attended our “Ag in the Classroom” workshop. Participants will tour several farms and hear from farmers about how they grow food, care for and feed their animals, and how the farm is run. Educators will receive Act 48 credits and/or can register for continuing education credits through Penn State. Many of our county Farm Bureaus have previously sponsored educators to attend and we are encouraging that same outreach this year. Please consider sharing information about this valuable workshop with educators in your area. For more information, contact the foundation at 717-731-3556 or www.pfb.com/aginstitute.